Home » Podcast » SPG 014: What is a Strategic Prepper? SPG 014: What is a Strategic Prepper? When many get involved in preparedness they approach it with no plan. Most of the time we just buy what we can and when we can. As a result, many of us are partially prepared in many areas instead of being fully prepared in the important areas. In this episode, I will talk about what a strategic prepper is. 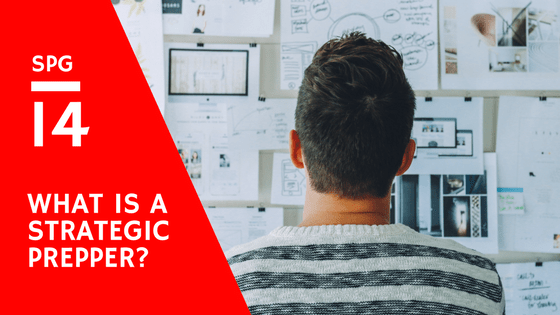 What is a Strategic Prepper? some personal threats include job loss, car accidents, robbery, etc. local threats could include hazardous waste spill, civil unrest, high crime areas, etc. regional/global threats include threats such as nuclear fallout, economic collapse, war, etc. how severe could a hurricane be?